When it comes to makeup brushes, there are so many brands, materials, and types to choose from. More importantly than the name on the handle of our makeup brushes, though, is the materials that actually make up the brush. 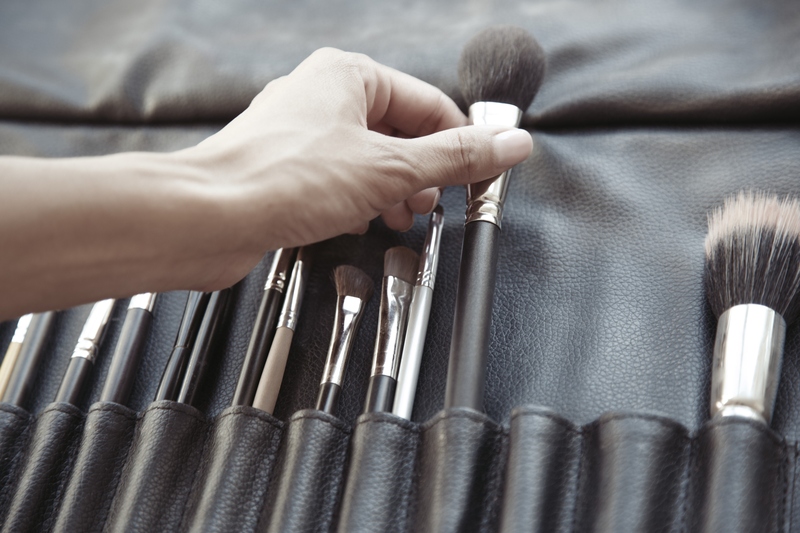 There are natural and synthetic brushes, so how do we know which kind to choose? Different types of brushes work best with different products in order to achieve different results. So before splurging on that new set of brushes you’ve been eyeing, check out the tips below to ensure you get the most bang for your buck, and the most beauty out of your brush. Natural makeup brushes: They’re typically made out of various animal hair. Practice makes perfect with natural makeup brushes, as they are extremely durable and actually get better the more you use them. When it comes to powder products, natural makeup brushes are your best bet. They work wonders with any powder from bronzers to eyeshadows, and everything in between, as they are loaded with texture so you’ll get a better application. Natural hair bristles move freely, allowing you to not only pick up enough product in one swipe, but also to blend it out beautifully. Our favorite natural brushes: If a brush is going to be natural, we prefer it be cruelty-free and high quality. For those of you shopping for natural makeup brushes, take a look at Too Faced’s collection of high quality, cruelty-free brushes, including a kabuki brush, eyeshadow brushes, powder brushes, and more. For another natural option, check out Shu Uemura’s natural brush selection, including contouring brushes, eyeshadow brushes, and more. Synthetic makeup brushes: They’re made up of manmade bristles, usually from nylon or other synthetic fibers. Unlike natural brushes, synthetic makeup brushes don’t have a cuticle, which makes them great to use with liquid or cream products, such as foundation and concealer, because they won’t trap makeup. Synthetic bristles tend to gravitate towards one another, making them perfect for precision application. Our favorite synthetic brushes: From getting the perfect cat eye to applying your lipstick flawlessly, precision application calls for synthetic brushes. Try out MAC Cosmetics’ extensive line of brushes, covering everything you could possibly need from an angled eye brush to foundation brushes. NARS also has a solid, quality line of brushes that are wonderful for whatever kind of application you need from precision blending to lipstick application.